Right now I am in my studio, not really doing a whole lot. It is Tuesday and I stayed at Louis' place last night after we got dinner with some friends. We went to the train station with Annabelle and it was really windy, rainy and cold and I was complaining the whole way until I smelt those hot crepes that they have at Melbourne Central. I really wanted to get some but I also didn't want to just miss a train because I got crepes so I said that if we have more than 20 minutes until our train we will get crepes. Weirdly enough we had 21 minutes till our train - I put it down to destiny - so Annabelle and I went all the way back to the crepe shop and ordered while Louis did some grocery shopping. I got a nutella crepe and Annabelle got a nutella crepe with cream. We sort of awkwardly ate them and then kind of wished we didn't eat them because they were one of those things where the idea of it is better than the reality of it you know because they were all sticky and glistening in a bad way and messy and yeah. But they still smelled good I guess. Also the lady who served us was like the crepe nazi and really scary and then all night I was talking about how the crepe nazi lives in a crepe house and makes her employees live there with her and makes them make crepes all night while they sleep which (I thought) was funny. Tonight I'm going out for dinner with my friends from high school Bree and Therese. They are pretty much the only people I see from high school except my other friend Tiff. We always get burgers from a burger place near my house, they are delicious, and I like catching up with those guys because it's fun and they are good people who have the same sense of humour as me. I really think I will be friends with them for the rest of my life. And it's nice to hang out with people that you kind of grew up with because they know your family and your dog and get you in a way that not a lot of other people do like they get that I just really enjoy cereal. Always have, always will. They know about my embarrassing teenage past and I don't care. It's hilarious. Every day I think about spring and how it's only about 3 weeks away now, and how hopefully soon we will see more signs of it like blooming magnolias and pink cherry blossom. I used to see a doctor that would tell me every time I saw her that soon the blossoms will start and when you see them it's a sign that you are getting better. I knew how corny it was but I sort of caught onto it and would look out for blossoms everywhere I went. I still do it whenever spring is rolling around because I really don't enjoy winter that much and long always for days that barely end before the sun's up again and the warmth of pink skies in the morning and walking home in sandals while it's still light. I love my skin being bare and exposed to the weather - I hate being all rugged up and feeling like you don't get to breathe fresh air or something. I can feel it coming though, soon spring then summer. It will be glorious. 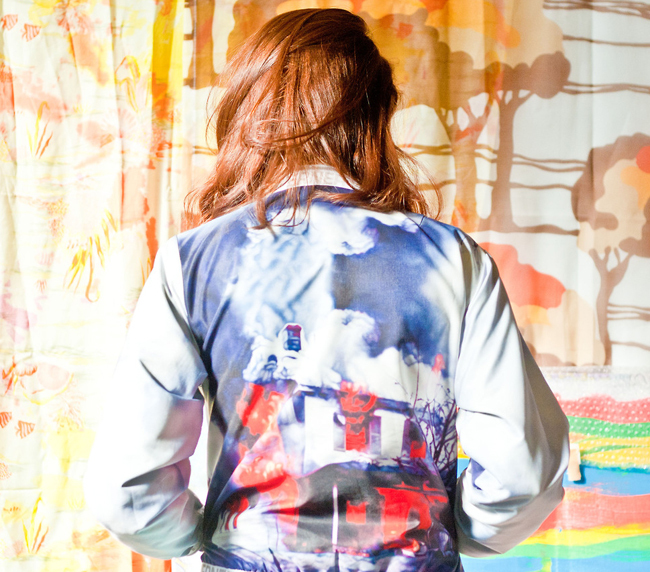 Above is a picture of my back in my studio taken by Laura Owsianka. She is a photographer who went to VCA with me and now she is doing lots of freelance work including photographing for a website called 'Profile Pub' where the whole series of these photos will be up soon! Can't wait to see the rest. The light was brilliant. 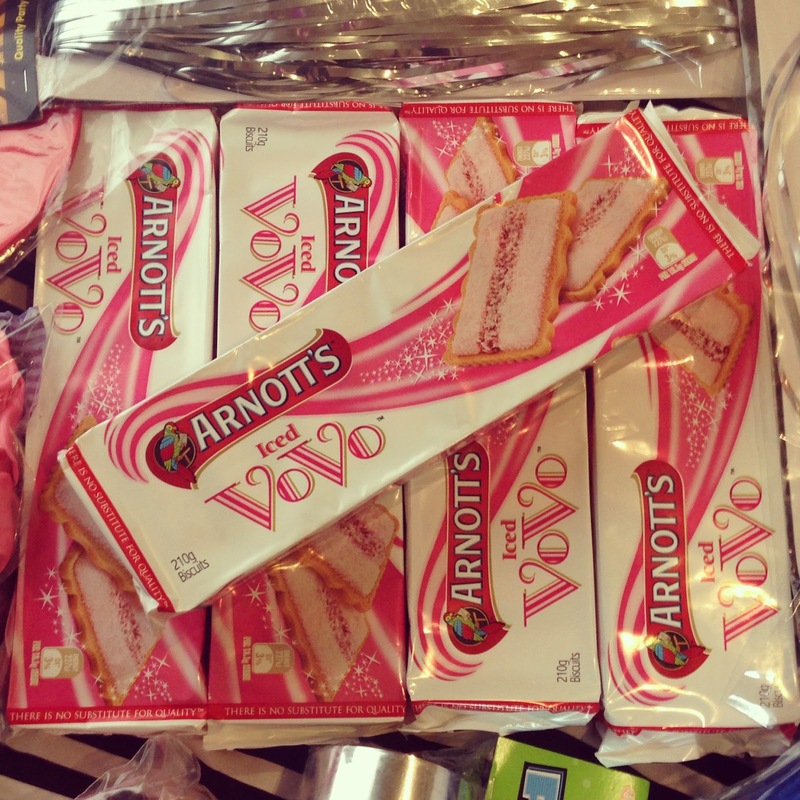 Iced Vovos have got to be the most aesthetically pleasing biscuit ever even though I don't really like the taste of them. Just casually bought 5 packets from Coles. 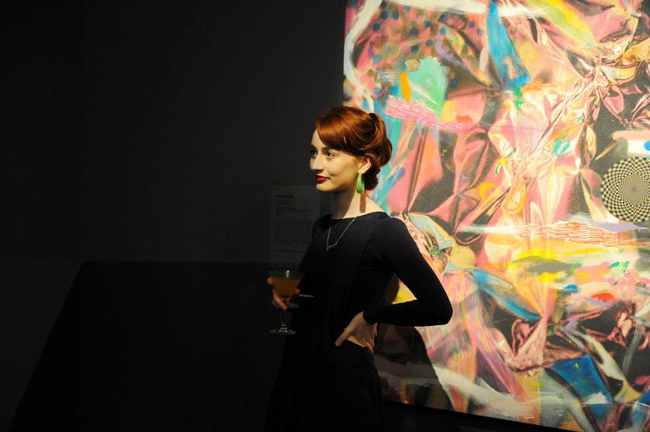 That's a picture of me in Perth at the opening of PICA Salon! It was taken by a 'professional photographer' there so it's a good photo. My Dad was joking and being like "why aren't they taking photos of me for the magazines?" and I was like "Probably because you put a piece of finger food in your suit pocket" which he did and it was hilarious. Anyway. Just so you know as well, I like never go to parties anymore. I used to party all the time but I never do anything now. Like this year I watched The Block. But I have a couple of fun dancing times coming up that I am getting psyched for and decided to make a dorky playlist. You can listen to it below. One more thing: On Sunday Georgie and I went to Jon's house to record our vocals for a Pamela CD! It's so exciting. It was hard work though, I didn't really realise that you have to do all the separate tracks and takes and stuff. We actually did really well and I was so shocked that it sounded *good*. Like I couldn't believe it. 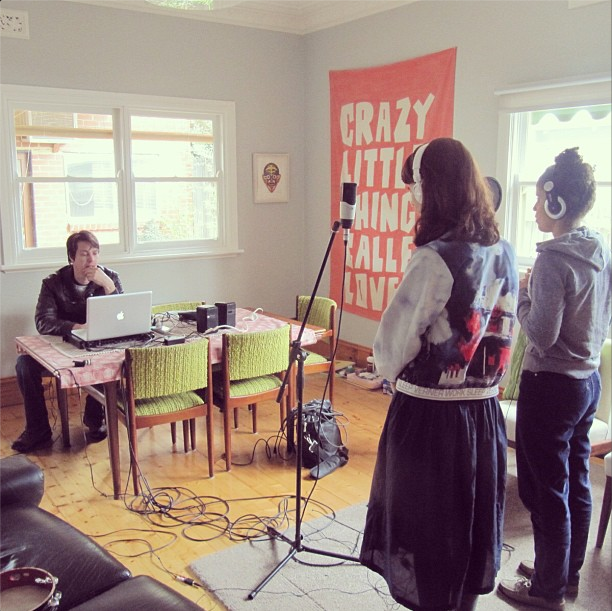 We recorded 'Art School' and 'Talk the Talk' and 'Just Sing What You Feel'. We want to record two more songs and have about 5 on this CD. Will keep you updated :) Here is a picture of us recording! Oh my gosh, that's so exciting about your CD! ^^ I totally need to hear what Pamela's music sounds like, especially as your art is so musical. I'm not sure how art can be musical but that's how I think of you work anyway!